I am here with a couple more cards for my guest post for the May release of Clearly Besotted Stamps. I decided to customize the outline tea pot and make it resemble Aladdin’s lamp. 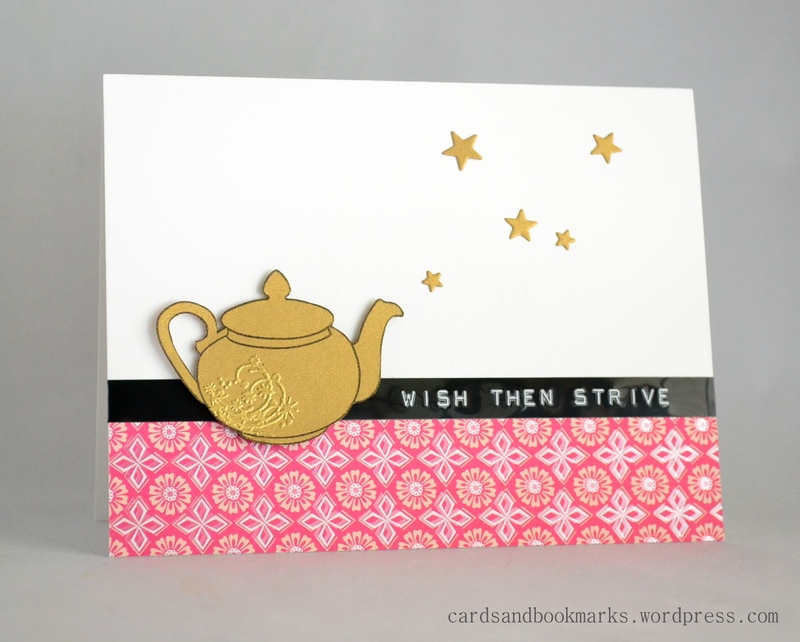 I stamped it on gold shimmery card stock and embossed a flourish (Inkadinkado inchies) on one corner. It is a wishing lamp, but in real life you can’t simply wish for things, hence the sentiment, encouraging someone to work for their dreams. When I chose the patterned paper, I simply picked one that looked good with the color scheme, but afterwords I realized that the pattern/colors resembles oriental carpets and thought it worked well with the whole Aladdin theme. 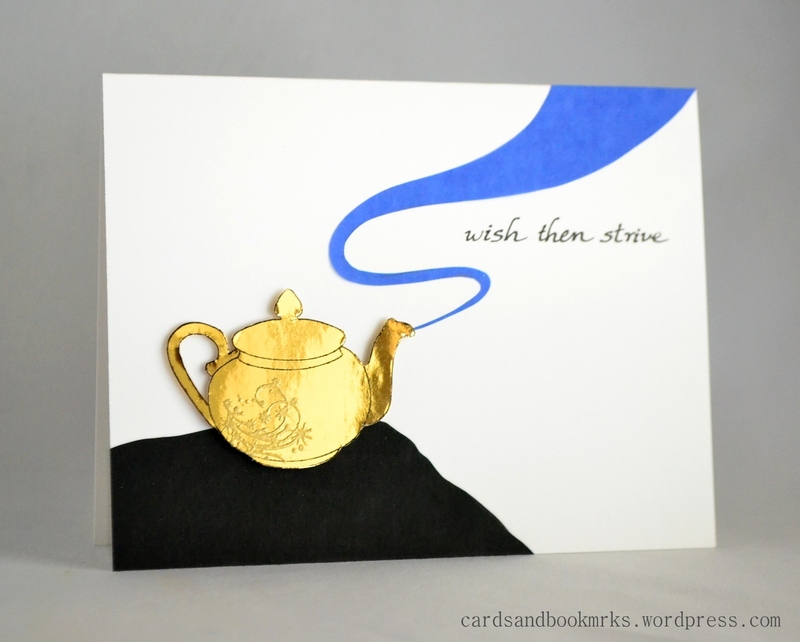 Here I stamped the pot on gold foil card stock, and used a hand draw smoke cut out of vellum. The black corner is supposed to be a rock (looks a bit too flat) and the sentiment is handwritten. Great cards Tasnim, love the sentiment too. Sooo cool! I love the genie concept…so creative! Totally genius!! Love how you turned a simple teapot into something so magical! !